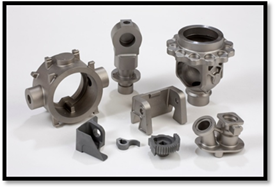 Investment casting, also known as lost wax casting, including pressure wax, wax repair, group tree, dip pulp, melting wax, casting metal liquid and post-processing processes. 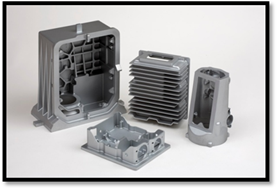 Loss of wax casting is made of wax to the parts of the wax mold, and then coated with mud on the mold, which is mud mold. Mud mold dry, and then roasted into pottery. Once roasting, wax mold all melt loss, only the pottery. The general system of mud mold left when the pouring mouth, and then poured into the molten metal from the pouring port, after cooling, the required parts made. 1. Produce wax patterns: Although called wax patterns, pattern materials may also include plastic and frozen mercury. 2. Assemble wax patterns: Multiple wax patterns can be created and assembled into one large pattern to be cast in one batch pour. 3. Shell Building: The ceramic mould, known as the investment, is produced by repeating a series of steps—coating, stuccoing, and hardening—until a desired thickness is achieved. 4. Dewax / Burnout: Once ceramic moulds have fully cured, they are turned upside-down and placed in a furnace or autoclave to melt out and/or vaporize the wax. The mold is then subjected to a burnout, which heats the mold to between 870 °C and 1095 °C to remove any moisture and residual wax, and to sinter the mold. 5. Gravity Pouring: The investment mold is then placed open-side up into a tub filled with sand. 6. Divesting: Knock out and cut-off the shell to release the casting. 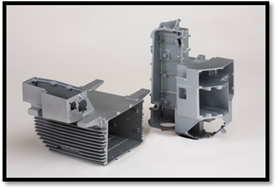 Investment casting is used in the aerospace and power generation industries to produce turbine blades with complex shapes or cooling systems. 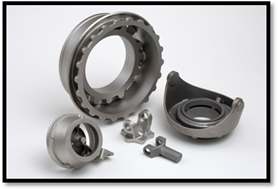 XY-Global is a manufacturer that specializes in a wide range of custom mechanical parts. Here is our website: www.diecastingpartsupplier.com .